This project entailed the substantial rehabilitation of a 59,985 square foot industrial building in the Arts District of Downtown Los Angeles. 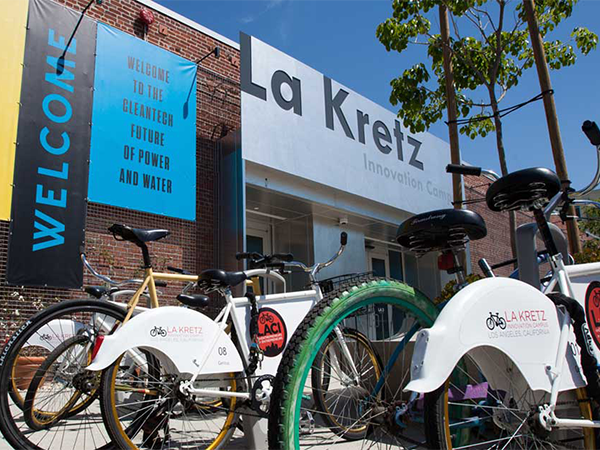 La Kretz Innovation Campus (LKIC) is a cleantech-industry hub, creating a place where entrepreneurs, engineers, scientists and policy makers can interact to promote and support the development of clean technologies and Los Angeles’ green economy. The primary tenant will be the Los Angeles Cleantech Incubator (LACI) - a private nonprofit conceived by the City to work in partnership with the City’s educational and research organizations, whose mission is to accelerate the commercialization of clean technologies and related products developed by independent entrepreneurs. LKIC will also partner with another nonprofit to provide onsite workforce training specifically focused on jobs in the cleantech and renewable energy industries.